Busy? We get it. 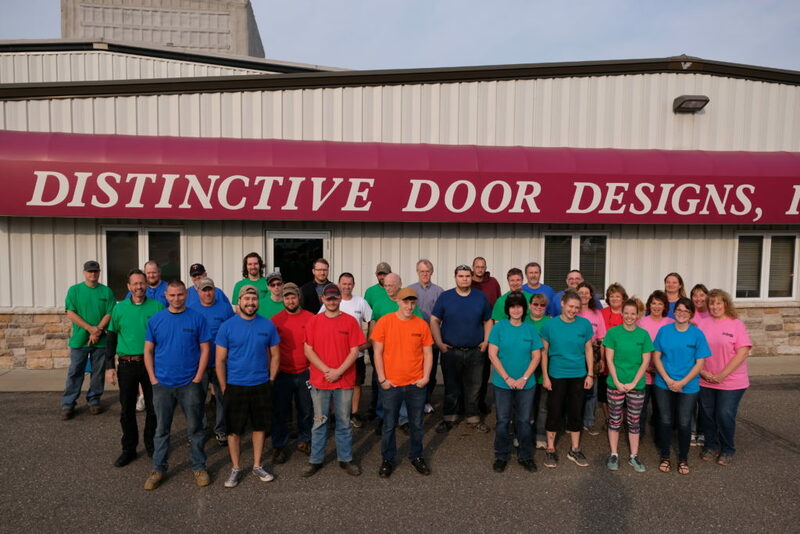 Since 1987, DDD has been delivering reliable and fast service. We believe in exceptional customer service. We’ll get you a quote in 24 hours or less. Ordering is hassle-free. Your order will be shipped within 5-7 business days of order confirmation. Reputable? Absolutely. Our 31 years of service speaks to that. 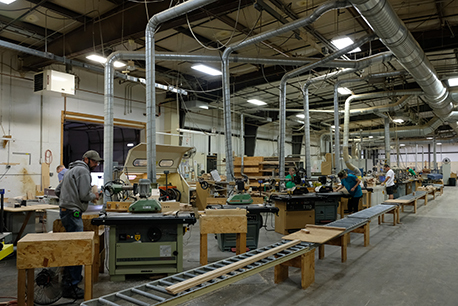 Our 35,000 sq ft. manufacturing facility holds $2.6 million in equipment. 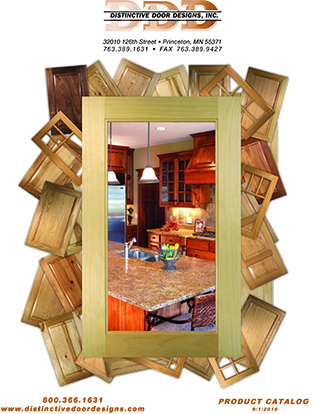 Our staff of 40 craftspeople produce more than 2,000 custom pieces a week. And, we stand behind our workmanship! Environmentally Friendly? Definitely. We recycle. 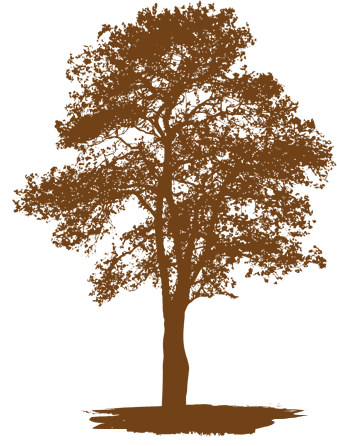 Our sawdust is used by local farmers and recycling mills so none of our production waste goes into landfills. We stay on top of trends, and provide quick quote turnaround to help you close more business. 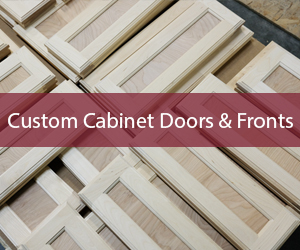 We have 32 wood species, 25 door styles and countless combinations of inside and outside profiles to build doors to get the look and style you are looking for. 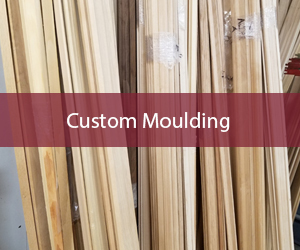 We also manufacture drawer fronts, drawer boxes, paneled ends, face frames, and custom mouldings, We guarantee outstanding appearance and fit. 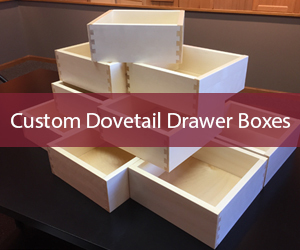 Our products are regularly used for entertainment centers, home offices, kitchens, bathrooms, man caves, she sheds and more. 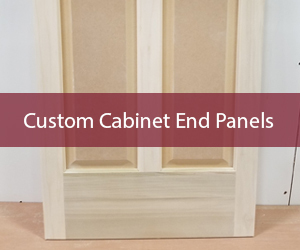 Delivering high quality custom cabinet doors, drawer fronts, moldings and end panels to cabinet makers since 1987. We stand behind our work and guarantee your satisfaction for a period of one year from the date of shipment. Our warranty is proof of our commitment to stand behind our products.